The Damned stepped onto the huge stage at the newly opened House of Blues in Anaheim and declared it their new home. 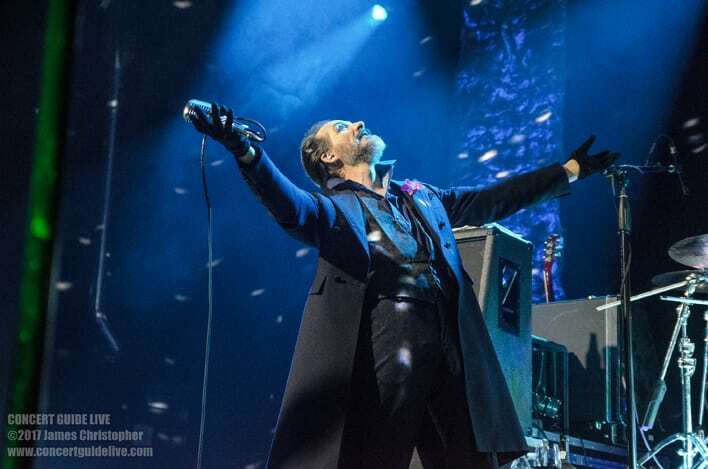 The crowd roared in approval and from the very first note to the very last, the audience remained enthusiastic. Early on Dave Vanian was mesmerized and laughing at the massive lightshow that was bouncing off a disco ball suspended in the middle of the venue, quite appropriately leading in to their song “Disco Man”. All night long he was spinning, prancing, or moving back and forth along the edge of the stage like a caged predator. The band were in good spirits, seemingly having fun throughout their 90 minute set, keeping the energy going nonstop. 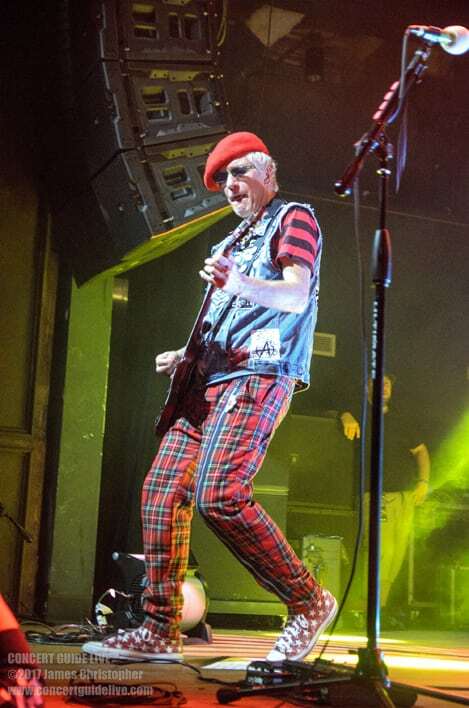 The music was loud in a good way with Captain Sensible’s guitar blowing the roof off several times. 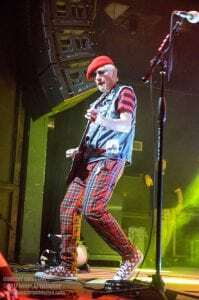 Wearing red plaid pants, red striped shirt, red and white checkered sneakers, blue jean vest and of course, his traditional red beret, he played like his guitar was on fire during songs such as “Ignite,” “Plan 9, Channel 7,” and “Jet Boy, Jet Girl”. 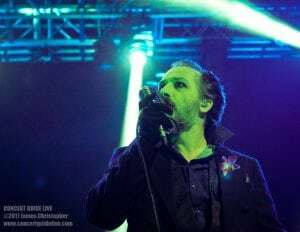 The band as a whole were playful and spontaneous and at one point, Monty Oxymoron , jumped out from behind his keyboard and did a manic crazy “dance”, bushy corkscrew hair flying, arms flailing as he spun in circles across the stage during the short solo near the end of the seminal “New Rose”. The lighting was crazy good and Vanian’s face was often green-lit creating a Frankenstein monster effect. He was dressed quite dapper in his finery including an orchid in his buttonhole. Traditionally clean-shaven, he appeared with a short full-face beard and mustache adding to his already distinguished look. It was an all-ages show and all ages showed up. A traditional mosh pit of youngsters ran in circles most of the night consistently pushing the rest of the packed house to the back and sides to express themselves without getting knocked around. 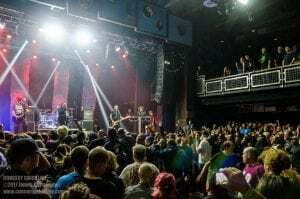 The pit grew to humungous proportions for the encore and everyone left happy and fulfilled, looking forward to next time.